Local cricketers now have a brand new facility to practice their batting and bowling, with the opening of five upgraded cricket nets at Jamison Park in Penrith. Nepean District Cricket Association (NDCA) received a grant worth $40,000 under the NSW Government’s Community Building Partnership program, to help fund the much-needed project. 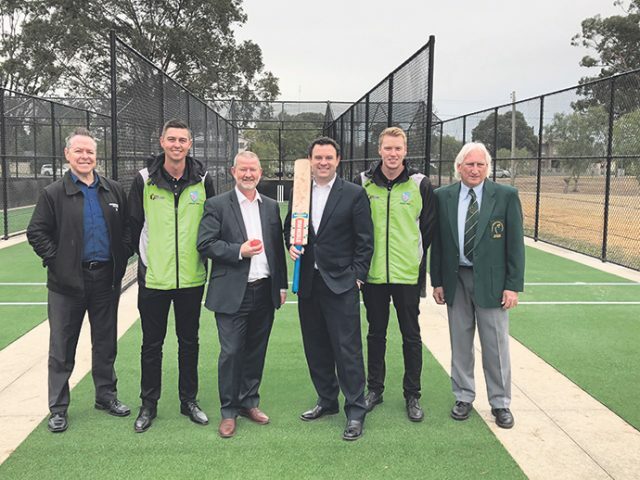 Penrith MP Stuart Ayres, Penrith Mayor John Thain as well as members of Cricket NSW and NDCA visited Jamison Park last week for the official opening. Mr Ayres, who is also the NSW Sports Minister, said the upgraded nets at Jamison Park meet Cricket Australia recommendations and safety guidelines, which is a terrific benefit to the more than 500 people who use the facility each week. “The massive popularity of cricket continues across Penrith and these nets ensure the players have safe modern facilities,” Mr Ayres said. Cr Thain was equally as excited by the new additions at the popular Penrith-based park. “The new nets and run-ups look fantastic, and it’s a great opportunity for young kids and cricket players to practice in nets that are high quality. 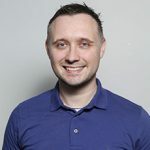 I hope it improves the sport,” he said. NDCA Treasurer, Jim Micsko, said Jamison Park is the centrepiece of cricket in Penrith and the upgrade will assist the association to meet the growth and demands of the sport in the local area. “On behalf of our association and affiliated clubs, I thank Minister Stuart Ayres for this funding to support all of the patrons of cricket in the wider Penrith area,” he said. The upgraded cricket nets, which are located on the east side of Jamison Park, near Jamison Road, are now open for use.